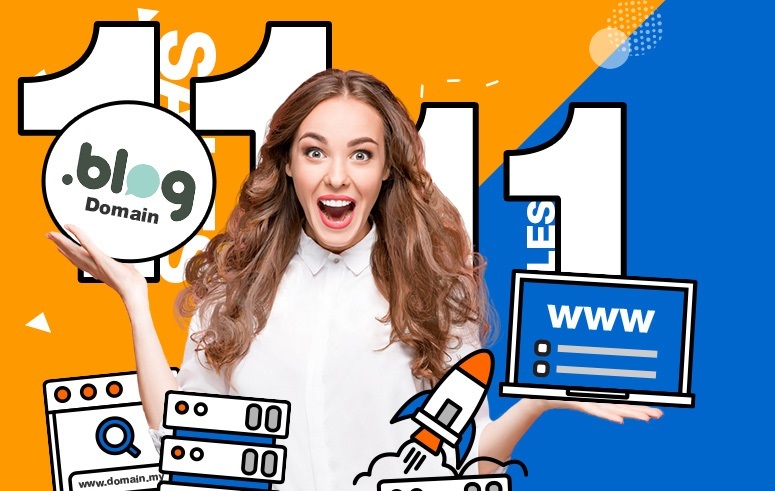 Besides Alibaba Cloud, Exabytes is still running the promotion program called 11.11 Massive Sale to celebrate the single day – 11/11/2017. In the sale time, go to Exabytes and buy a .COM domain, you will get a FREE .BLOG domain. The total cost for 2 hot domain extensions will be at just $6.90, save you $18.89. All you need to do is using the code 11NOV-DOMAIN at checkout. Plus, you also get FREE DNS Management service to manage DNS zone directly at Exabytes. If you don’t like the free .BLOG, you still can get up to 5 cheap .COM domains ($3.99/year each) with the 5 coupon codes in this post. For hosting services, SSD WordPress Hosting will start from $0.99/month only and Web Hosting is still at 70% off – at just $1.99/month. This massive sale of Exabytes is focused on .BLOG domain, so, with any web hosting sign-up, Exabytes will give you a FREE .BLOG too. Finally, for Dedicated Server and VPS Plans, just buy 3 months and get 1 month for FREE. >> Click here to see full 11.11 promotion details.